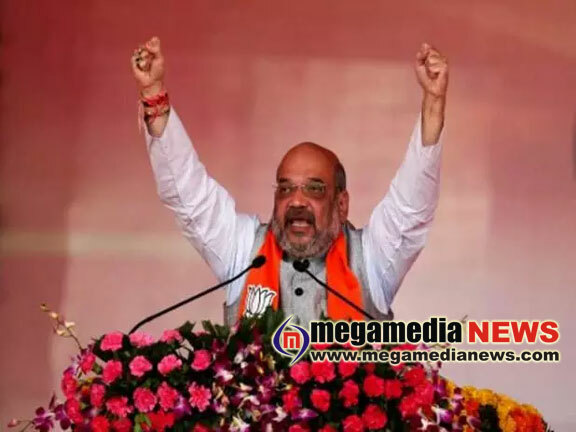 Hubballi: The leader of the Opposition in the Legislative Assembly Jagadish Shettar said in Hubballi on Wednesday, that National BJP President Amit Shah would embark on another poll tour of Karnataka from April 12. Karnataka goes to Assembly polls on May 12. Poll results will be announced on May 15. Shettar said that Shah would arrive in Hubballi on Wednesday night. He will visit the Siddaroodha mutt at 9.40 am on Thursday, and seek the blessings of the seer. Shah will then visit the late Kannada poet and Jnanapith awardee Da Ra Bendre’s memorial and pay his respects. He will then visit the Murugha mutt and seek the blessings of the seer there. Shettar said that BJP chief will then take part in the fistful of rice (Mushti Dhanya) valedictory programme at Abbigeri, Gadag taluk. From thereon, Shah will head towards the Puttaraja Gavai Ashram at Gadag and also to Veeranarayana temple. On Thursday evening, Shah will visit the Mooru Savira mutt and seek the blessings if the seer. Shah will then participate in roadshows on the important streets of Hubballi. He will hold a meeting with farmers at Hebulli village, Dharwad taluk and have and interaction with Hubballi industrialists the same evening. He will also meet party workers and discuss strategies and execution of the campaign. Shah will participate in a protest before the deputy commissioner’s office on Thursday.